Italy, 1972, 134 minutes, Colour. This film achieved some notoriety in the early seventies. Made for television, it marked the period between his making Zabriskie Point in America and The Passenger with its international background. Sponsored by Italian Television and allowed in by the Chinese Government of the early seventies. the Italian team filmed as much as they could often without the permission of their guides. The film is a documentary but is selective in the presentation of its material - which in perhaps governed by what authorities allowed the team to photograph. Some considered the film as unsuitable and unflattering in its presentation of China - particularly a sequence of a man urinating into the river; umbrage was taken by Chinese authorities over such sequences. 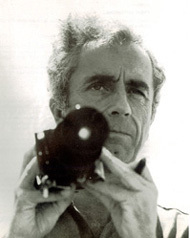 Antonioni himself speaks the commentary and the tone of the film must be taken from his voice and comments. The film is very strong on its emphasis on people, as a tour of cities and countryside and selects such interesting things as acupuncture and birth. schools. Chinese theatre. There is also some history of the communist revolution. China was to change very much by the late seventies. rendering the material in this film as out of date for social history but of interest an illustrating China before Coca- Cola and American recognition. 1. Audience interest in China and its history during the 20th century, the changes in the seventies? The picture of China, its landscapes, city and country, people, social attitudes, politics? How much insight did this film offer? The importance of the visuals for audiences to determine and make their own judgment? Antonioni's attitudes? 2. The reputation of Antonioni, his feature films, his cinema artistry? An Italian view of China in the early seventies, a western view? The significance of his commentary? 3. Antonioni's artistry in putting the film together - as documentary, as a collage of contemporary China? How artistic and imaginative the film? 4. The tour of China and the emphasis on Peking to Shanghai via the countryside and provincial cities? 5. How much insight into the social attitudes of the Chinese in the seventies? Their non-materialistic approach, their communal and social approach, the place of traditions and changes, schools, communes, factories, transport especially by bicycle etc.? 6. The insight into Chinese culture - education and programmes, families, communes, theatre, dance? 7. The place of religion and Antonioni's comments on its passing? Shrines and temples as museums? The puzzle about the elimination of so many centuries of religious tradition? 8. The importance of health in China - the long birth sequence, the emphasis on acupuncture? 9. The comments on Chinese communism, the showing of the place of the planning of the revolution. Mao Tze Tung, his influence, the cultural revolution and its aftermath? The documentary footage included? 10. The overall importance of the Chinese people and their pervading presence - tableaux, individuals, groups, the use of close-ups and the audience study of Chinese faces? 11. An insightful film on China or merely a visual presentation? This film achieved some notoriety in the early seventies. Made for television, it marked the period between his making Zabriskie Point in America and The Passenger with its international background. Sponsored by Italian Television and allowed in by the Chinese Government of the early seventies. the Italian team filmed as much as they could often without the permission of their guides. The film is a documentary but is selective in the presentation of its material - which in perhaps governed by what authorities allowed the team to photograph. Some considered the film as unsuitable and unflattering in its presentation of China - particularly a sequence of a man urinating into the river; umbrage was taken by Chinese authorities over such sequences. Antonioni himself speaks the commentary and the tone of the film must be taken from his voice and comments. The film is very strong on its emphasis on people, as a tour of cities and countryside and selects such interesting things as acupuncture and birth. schools. Chinese theatre. There is also some history of the communist revolution. China was to change very much by the late seventies. rendering the material in this film as out of date for social history but of interest an illustrating China before Coca-Cola? and American recognition.